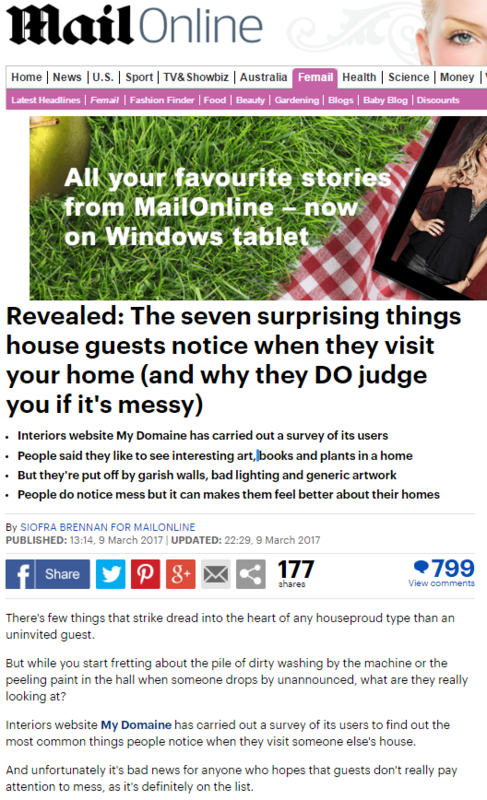 There’s few things that strike dread into the heart of any houseproud type than an uninvited guest. But while you start fretting about the pile of dirty washing by the machine or the peeling paint in the hall when someone drops by unannounced, what are they really looking at? Interiors website My Domaine has carried out a survey of its users to find out the most common things people notice when they visit someone else’s house. So if you don’t want your guests to judge you, I guess you better head over to My Domaine today, right? This entry was posted in My Domaine on March 21, 2017 by Michael Marshall.